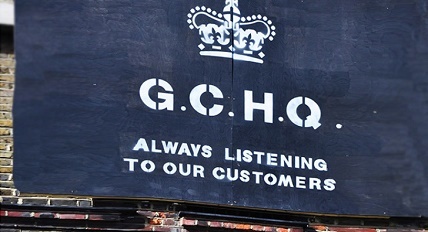 On August 28, 2016, then-US-President Barack Hussein Obama requested that British Intelligence begin SPYING on then-candidate for US President, Donald J. Trump, the Trump Organization (his business entities) and on his Presidential Campaign “Donald J. Trump for President.” The spying included foreign and US DOMESTIC signals Intercepts (SIGINT). This generally includes phone taps and planting of bugs/listening devices. 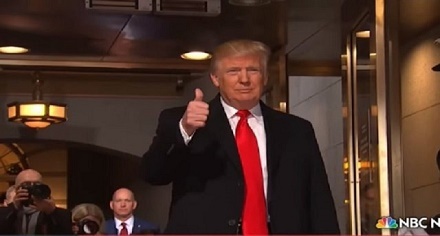 They did all this without a U.S. Search Warrant or Court Order, according to newsman and talk show host Dennis Michael Lynch in a special report on Thursday. By doing this without a US Search Warrant or Court Order – at the direct request of the President, both The British Government and President Barack Obama committed federal FELONIES punishable with prison, for violating wiretap laws and Constitutional protections afforded to then Mr. Trump and his people. These actions by the British and by Obama were CRIMES. One of the first people to provide a glimpse into the Deep State a/k/a Shadow Government was a former New Jersey State judge. His story described the use of a foreign intelligence service by the U.S. President to spy on a political opponent, while the second story reveals the spineless Republican establishment that allowed their President’s rights to be tossed into an incinerator without a peep. 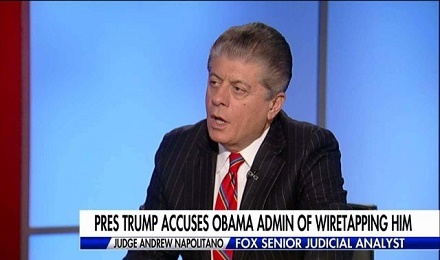 When Judge Andrew Napolitano spoke about Obama’s role in the anti-Trump conspiracy he was ridiculed, suspended from Fox News and threatened by Democrats. But he never retreated and was brought back to Fox two days later. Turns out he was right about everything. The Democratic National Committee (DNC) and the Clinton campaign were found to have funded the salacious report in a shocking Washington Post article that hit the stands on Monday. The House Intelligence Committee is on the case, announcing on Saturday that they have reached a settlement to obtain bank records from Fusion GPS, the research firm that produced the dossier. Straight out of the Alinsky- Ayers-Dohrn playbook, a red-diaper ploy by Fudgepack hissef’. 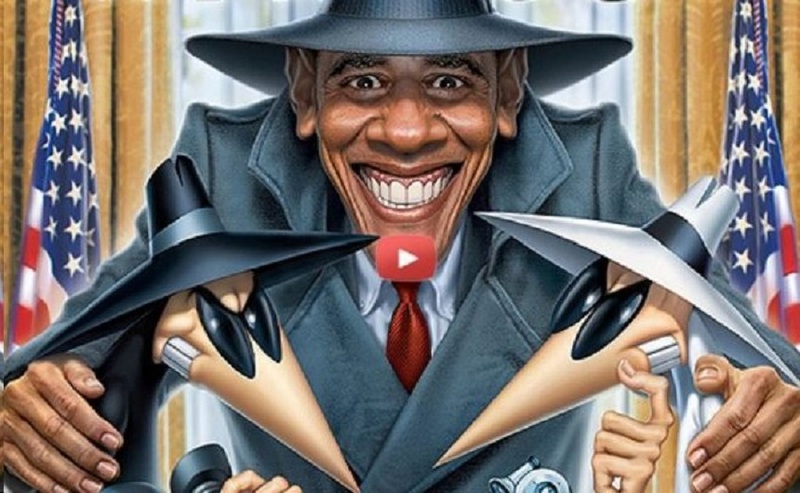 Nothing concerning Benedict Barack Gangrenous and his Jarrett Administration would surprise us anymore… whatever “great legal minds” begin to notice after, lo! eight fulsome years, no sentient observer can have missed SHD’s peculiar blend of smarmy treachery since Soros and al Walid bin Talal first oozed him forth.